Archaeological work done in advance of the Federal Reserve Bank construction in Baltimore in 1980 yielded the usual array of filled privies, wells and cellar holes. But under Barre Street, archaeologists discovered a twenty-foot long section of drainpipe containing thousands of early twentieth-century artifacts concreted into a solid mass filling the bottom half the pipe (McCarthy and Basalik 1980). A little documentary research revealed that the contents of the pipe were associated with a Chinese-owned commercial laundry located nearby. Figure 1. 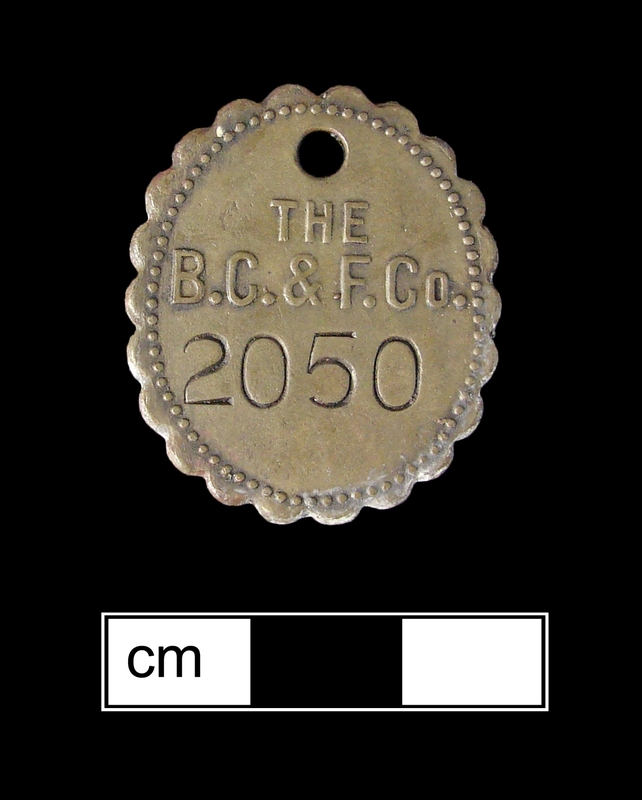 Tool check or worker identification tag from the Baltimore Clothing and Furnishing Company. Figure 1. Coconut shell from the Federal Reserve Site. 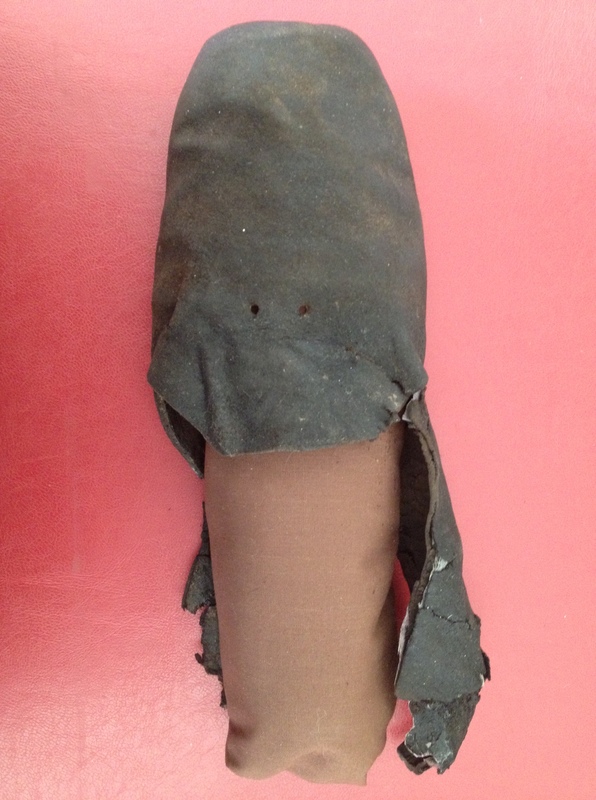 So, I have to admit that this week’s artifact is not the most attractive object I have used on the blog. In fact, since you probably can’t even identify it, I will tell you that it is a fragmented coconut shell. 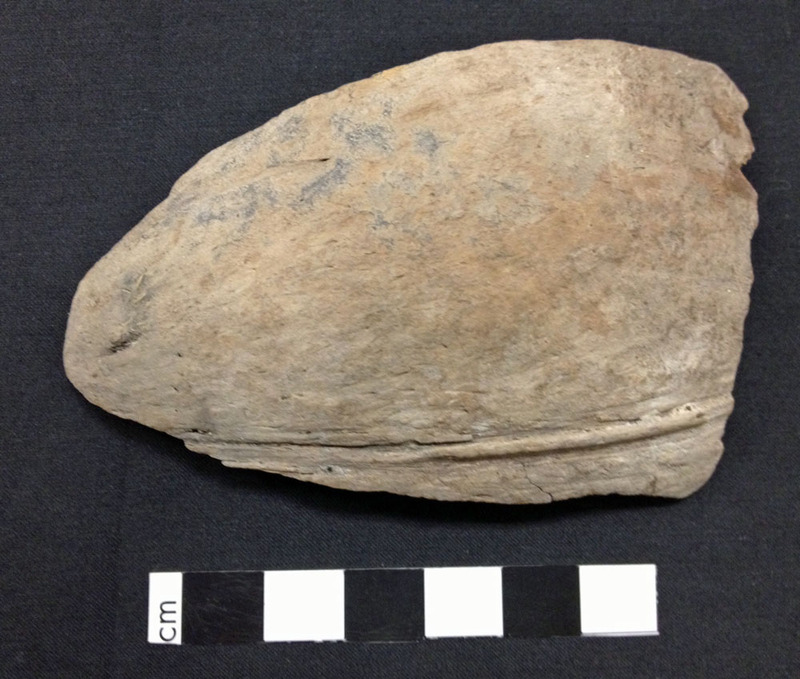 This coconut was enjoyed by a family living in the Otterbein neighborhood of Baltimore in the late nineteenth century and recovered from a cellar at the Federal Reserve Site (18BC27). Coconuts are obviously not native to Baltimore, preferring instead to grow in more tropical climes. Thus, this coconut shell can be used to launch a brief history of the Baltimore harbor, since it almost certainly arrived in the city via the port. I was inspired to write on this topic when I heard a story on the radio last week about the longshoremen strike at the Port of Baltimore. 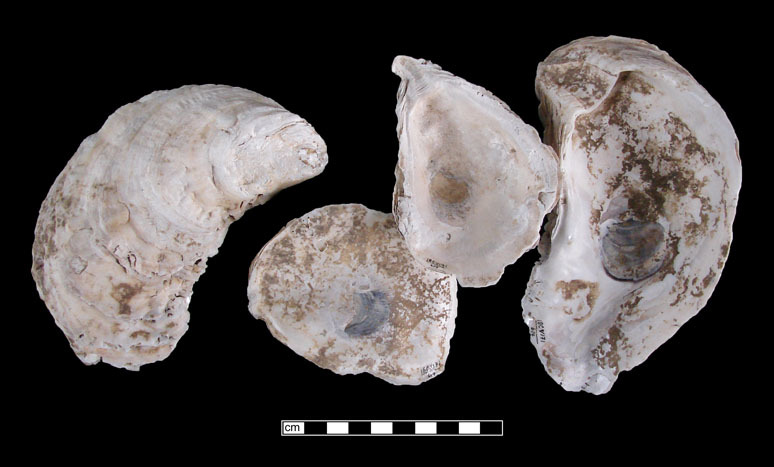 A sample of oyster shell recovered at the Cumberland site (18CV171), a Native American palisaded village in Calvert County. 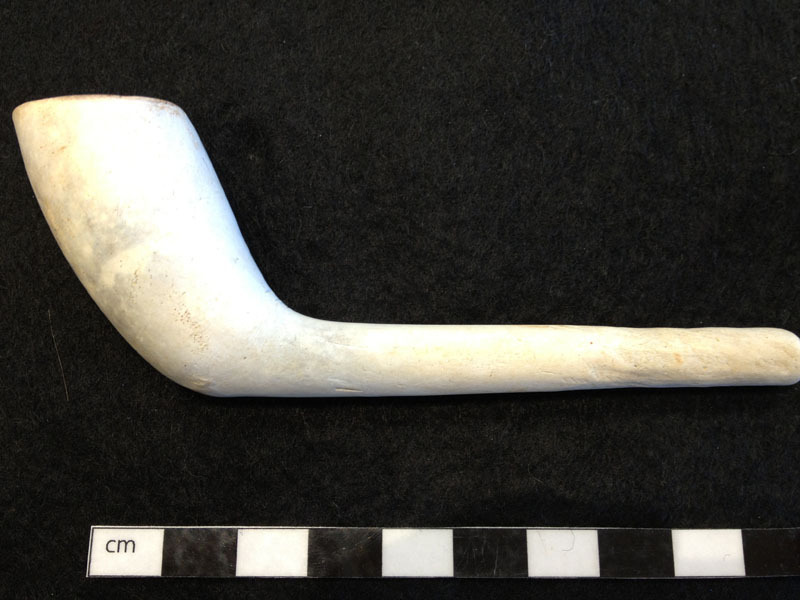 Tobacco pipe from the late seventeenth- to early eighteenth-century King’s Reach Site (18CV83). 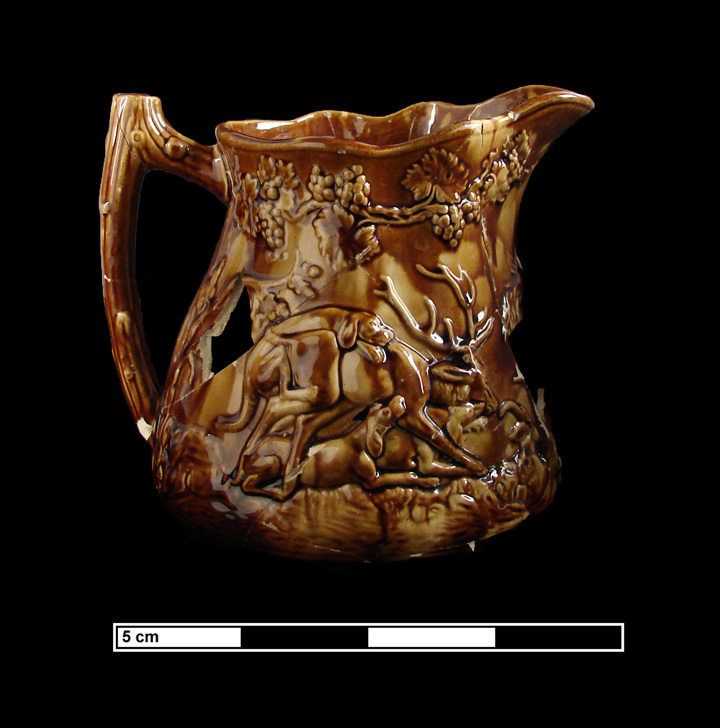 Skillful application of the mottled Rockingham glaze serves to highlight the stag hunt motif on this Bennett pitcher. Over the last several years, the sesquicentennial of the Civil War has been garnering a lot of attention. But the years 2012 to 2014 also mark the commemoration of another of our nation’s wars—albeit one that has not received nearly as much notice as the more famous War Between the States. 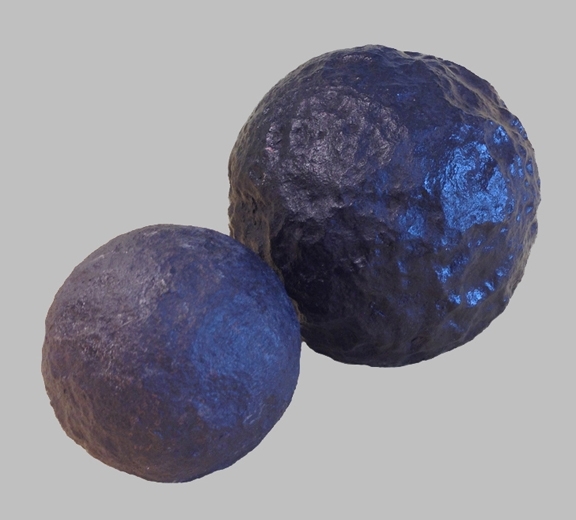 Two cannonballs from the lab collections, recovered from military sites related to the War of 1812, are our window into this war in Southern Maryland. The larger cannonball was recovered at Benedict and the other from St. Leonard Creek.